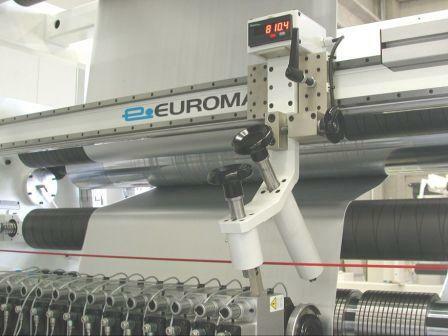 UNWIND – Integrated Shaftless or shafted unwinder • Dancing roller for tension control • Pneumatic Brake or electric Motor • Automatic webguiding system. 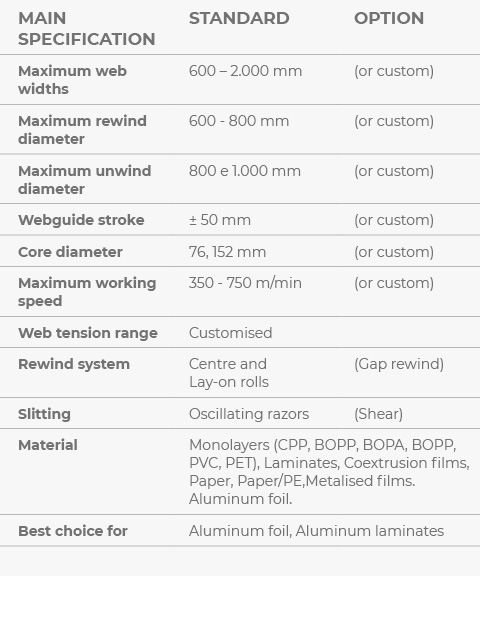 SLITTING – Slitting system with oscillating Razorblades and/or Shear-cut rotary blades • Knifeholders on shaft or linear bearing guides • Specific web path for Wrap-cut or Tangent-cut • Manual or semi-automatic positioning of slitting blades. REWIND – Duplex rewind with lay-on rolls • Differential Friction shafts or Air expanding shafts • Independent lay-on rollers with pneumatic pressure control • Tension regulation by multiple systems • Manual core positioning or assisted by laserpointers or by automatic loader • Roll offloading by twin bar device or motorised trolley. 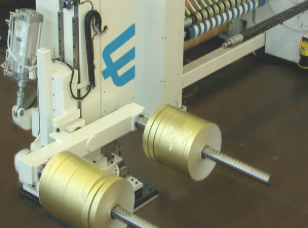 Twin bar roll offloading device which allows a motorised 90° rotation outwards and motorised 90° leveling of the rolls as well as lowering towards floor.